Anna Sump and three other delegates baking bread as part of a workshop. The bread was then donated to the Atlanta Community Food Bank. Lancaster County 4-H member Anna Sump was part of a 23-member Nebraska delegation attending National 4-H Congress last Nov. 23–27. National 4-H Congress is a five-day educational experience held in Atlanta, Ga. and is the premiere nation-wide event for 4-H’ers to network with others from around the country and Puerto Rico. During Congress, 4-H youth are exposed to leadership topics in the areas of communications and technology, the environment, agriculture, families, community development, youth and children. Educational experiences include seminars, guest speakers, volunteering opportunities and tours of Atlanta. Additionally, all of the students were assigned a community service project in the Atlanta metro area. 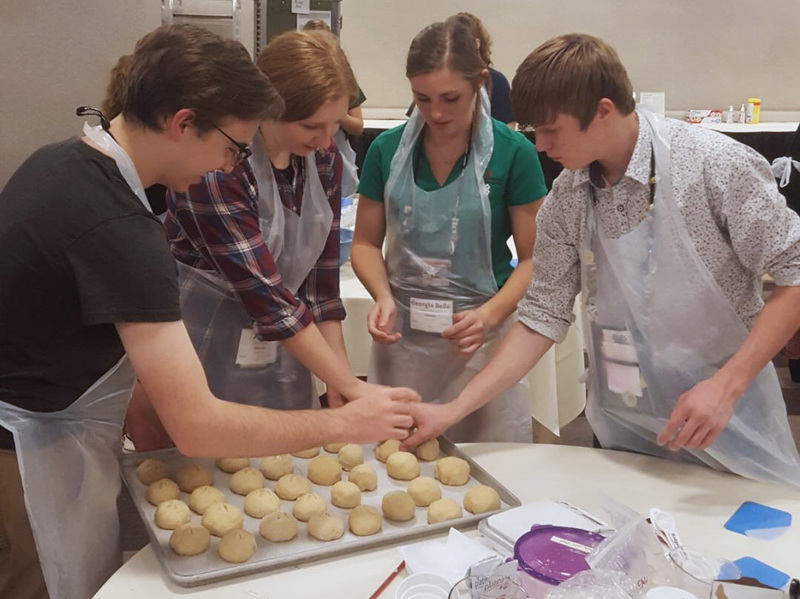 In Nebraska, youth were selected to attend National 4-H Congress based upon the achievements outlined in their 4-H Career Portfolio. The Career Portfolio is the annual record-keeping system used by Nebraska 4-H youth. Anna’s 4-H Career Portfolio was selected in the area of Healthy Lifestyles.